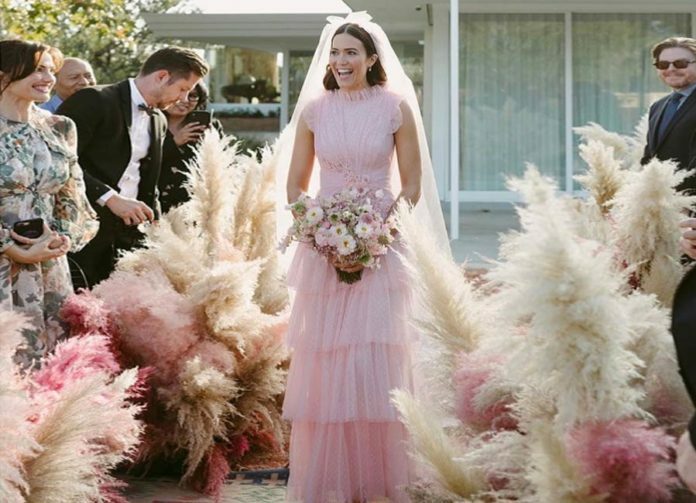 We absolutely adored Mandy Moore's blush pink wedding day! Mandy Moore kept her intimate, boho wedding under wraps until she waltzed down the aisle in romantic tiers of pink. 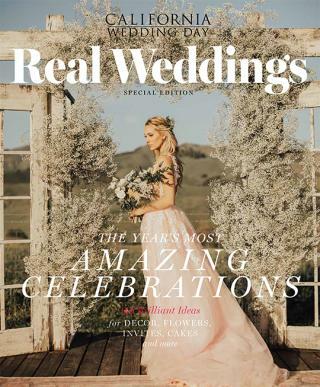 The This Is Us actress made a big splash as she opted out of a traditional white wedding dress, instead donning a blush pink gown by Rodarte for her wedding with singer-songwriter Taylor Goldsmith. 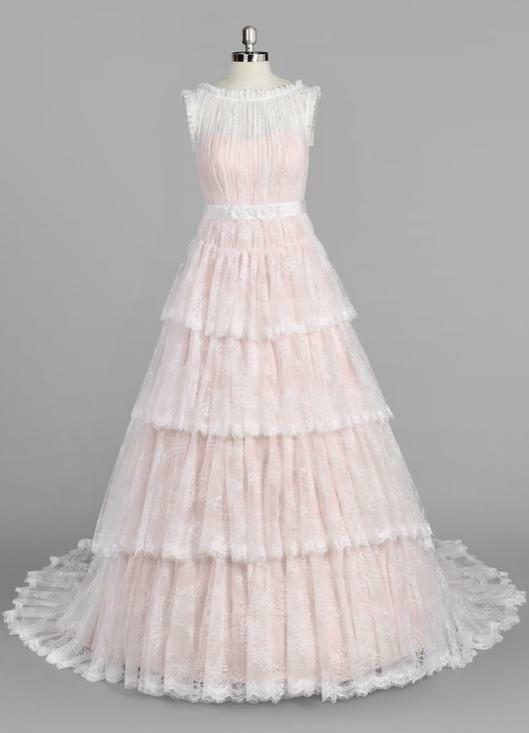 Moore was radiant as she appeared to float on ruffled tiers of tulle. Though not traditional in color, she looked like a classic in her gown’s high-collared neckline and Swiss dot embellishments. To get this look, designer Azazie features a similar dress at half the price. Featuring a cathedral train, tulle detailing, and lace accents, the Morgan bridal gown embodies what it means to stand out among the rest on your wedding day. Get your hands on the Julie Vino dress of your dreams at the brand new LA location.